Sgt. Patterson and Deputy Stacy are investigating the theft of several pieces of jewelry from a residence on Bigley Ridge. A woman reported the jewelry missing from her residence on Bigley Ridge sometime between the first week of May and the date of report. A possible suspect has been identified and the incident remains under investigation. Deputy King and Sgt. Stewart responded to a domestic violence complaint on Bigley Ridge. Deputies arrived on scene and found that the suspect had fled the scene. The female victim was not assaulted or threatened by the male and no charges were filed for domestic violence however the victim’s grandmother was threatened. Charges were filed on Daniel Murphy for menacing threats and warrant has been issued for his arrest. A subject came in to the Meigs County Sheriff’s Office in reference to being assaulted at the 124 Mart during a child custody exchange. The male had a gash on his nose and claimed to have been headbutted. Due to the evidence, charges were filed on the other male for assault. Sgt. Stewart responded to Ball Run Road in reference to multiple 911 hang-up calls. The deputy arrived on scene and spoke with the homeowner and juvenile that resided there. It was determined that there was possible mix up with the phone lines and no one was in distress. The call was cleared and no further action was taken. Deputy King was dispatched to Bunker Hill Church Road on a burglary that had recently occurred. Deputy King processed the scene and collected photographs from surveillance on the property. The case is still pending investigation. Deputies responded to Forest Run Road on a residential burglary alarm. Sgt. Stewart responded to the scene and found the front door to be closed but not latched. The residence was cleared and secured. The homeowner responded to the scene and found that nothing had been taken. The call was cleared, and no further action was taken. Deputy Campbell and Sgt. Stewart responded to a report of possible domestic violence incident on Mile Hill Road. Deputies arrived on scene and determined that two subjects had been verbally arguing and that it was not a domestic violence case. Deputies processed three new applications for concealed carry weapons permits. Deputy King responded to a report of a residential burglary alarm on Owl Hollow Road. Deputy King arrived on the scene and determined it to be a false alarm. Everything was found to be secure and the scene was cleared. Deputy Campbell responded to Shady Cove Road in Middleport on a burglary. Deputy Campbell processed the scene and a report was taken at the scene. This case is currently under investigation. Dispatch received a call of a disturbance in Letart on State Route 124. A deputy was dispatched and arrived on scene and spoke with all involved. The argument was between two families. One had driven by the others house allegedly shouting profanities. The other family had allegedly went to the edge of the roadway, yelling at the other as they had passed. The car stopped, and they argued for time then separated. The dispute stems from a conflict on the bus their children had the last few days of school. Both groups were advised to stay away from the other. No further action was taken on this call. Dispatch received a call of a stolen car from an address in Syracuse. A Syracuse officer was on duty and was dispatched to the scene. Syracuse PD handled the incident. The next day the car was recovered on Bigley Ridge in Long Bottom. The suspect, Michael R. Runyon, age 30, of Syracuse, allegedly went on to steal two ATV’s from the Tuppers Plains area, gas and several miscellaneous items from Reed’s Store and a pick-up truck from the Reedsville area over the next 24 hours. Both ATV’s were recovered by deputies the same day they were stolen. It is believed that Runyon then left Meigs County in the stolen pick-up. Surrounding agencies were advised of the incidents and are currently looking for the suspect and the stolen pick-up in their jurisdictions. Several Charges have been signed on the suspect and the investigation into other incidents he may have been involved in remain under investigation. 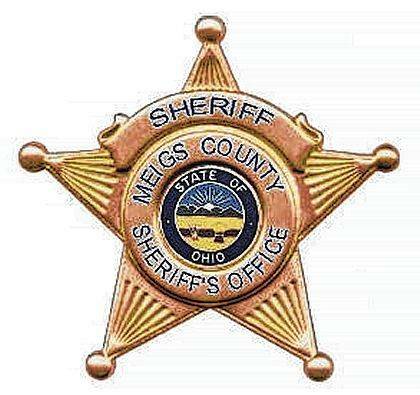 A woman from Athens came into the office advising she had been assaulted by her boyfriend, Edgel E. Gobel, age 28, of Shade Ohio, at his home on State Route 681 in Meigs County. She gave a written statement about the incident and charges were signed on Gobel for the alleged assault. While on patrol a deputy stopped in at the 124 Mart on State Route 124 and was advised by an employee that her personal cell phone had just been stolen. The security video showed an unknown female pick up the phone off the counter and place it under her jacket. She then purchased a few items and left the store. The next day the suspect returned to the store and was confronted by the victim about taking her phone. She denied taking it. The suspect was in the company of another female that was known to the victim. That female left the store and spoke with the suspect and returned with the stolen phone and returned it to the owner, but the phone had been damaged beyond repair. The identity of the suspect was found out to be Shasta D. Blankenship, age 38, of Gallipolis. A charge of theft has been filed on her for the alleged incident. Dispatch received a call of a prowler on Hickory Road in Tuppers Plains. Deputies responded to the scene and checked the area. No one was found. Dispatch received a call of a prowler on Trouble Creek Road. Deputies responded to the residence and checked the area. No one was found. Dispatch received a call from Gallia County Sheriff’s Office advising that they had a deputy out at a trespassing complaint on Storys Run Road in their county. She has found three suspects and was requesting backup, as the scene was getting heated between the suspects and the victims. Deputies and Middleport officers responded to the scene, assisted in recovering one of the suspects from the woods and stood by with the Gallia County Deputy until another officer from her department arrived on scene. Dispatch received a call from a subject on Locust Grove advising he just returned home and it appears as if someone has shot out a window in his garage. A deputy arrived on scene and took a report of the incident. The caller advised that he did not think it was intentional and had heard gun shots in the past from the neighbors on the other side on the tree line that separates their property. After finishing up with the caller the deputy went to several of the homes on the other side of the tree line and advised them of the incident and reminded to insure a proper and safe back drop when shooting. Dispatch received a call on a possible drunk driver on State Route 248. A deputy was dispatched and patrolled the area. The vehicle was not located. Dispatch received a call from a male in Racine advising his juvenile daughter was receiving threatening text messages from another girl. A deputy responded and took a report of the incident then went to the suspect’s home on Wayde Sayre Road and spoke with her mother and advised charges will be filed in juvenile court about this incident.